DJ Paul “NeanderPaul” Marshall, a morning jockey at Phoenix’s KSLX-FM, is a self-described “massive AC/DC fan,” which might help explain why he created this two-and-half-minute supercut of the ending to every AC/DC song that doesn’t gradually fade out at the close. The band is known for using the same three chords and drum pattern in many of its songs. 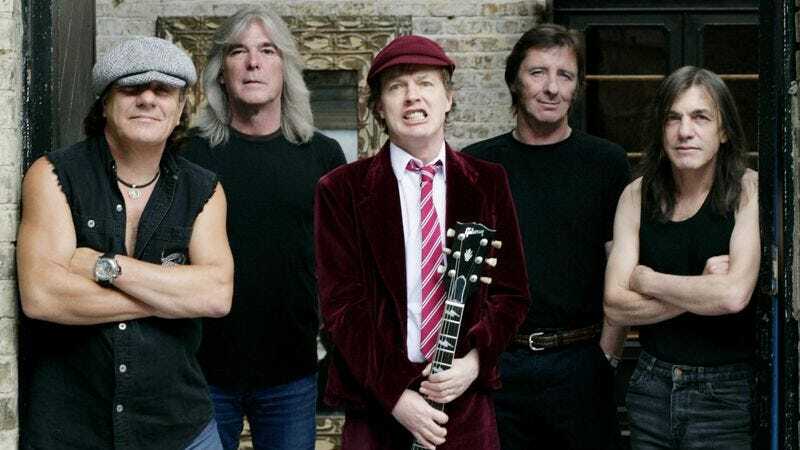 NeanderPaul said he was sitting in the studio one day wondering “just how many” AC/DC songs end “in a similar fashion,” so he decided to sift through 120 AC/DC tracks and find out. Turns out, they all end with the same power cord. Looks like the “Highway to Hell” really is the same route, every time.